Aspire the local independent estate agents who offer almost unparalleld experience in both residential sales and lettings within the Gosport community. With Local property professionals who can claim more than fifty years of combined experience specifically of the Gosport market. WELCOME BOAT FANS Boatshed is one of the world's largest yacht brokerage groups that prides itself on giving potential buyers the most complete and accurate picture of the boat that they want to buy. Boatshed Brokers personally visit every boat that they list, taking unlimited photographs and videos which are available online to registered users anywhere in the world. brite-move, is an independent family run local business offering a highly professional services to our buyers and sellers, landlords and vendors. brite-move believe the success in our business absolutely depends upon first class customer service, communications and being able to speak to the owners at all times. "Know us, use us and trust us" brite-move take pride in our professional, honest and friendly service at a very reasonable price. Formally known as Blakes Estate and Letting Agents. Mark Watson (Senior Branch Manager) and his team have successfully sold and let properties in the Gosport area for over 20 years. Mark said 'I am delighted to have joined The Jeffries Group - having worked in this office for over twenty years, I am passionate about the area and have enjoyed the extensive redevelopment of the waterside, town centre and military areas'. Originally established in 1891, Mann Countrywide Estate Agents form part of a national group made up of over 1300 branches. 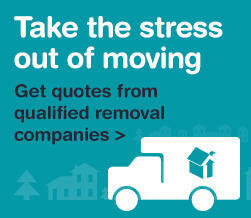 Wherever you are moving within the country, it is likely that we will have an associated branch that can help you. With such a powerful network, there are many benefits to both the homebuyer and the seller and we pride ourselves in making full use of this unrivalled facility. In June 2018, Martin & Co Gosport changed hands. The business has been bought by G&K Lettings Ltd owned and operated by Gavin Naish and his team. Gavin has been an agent in Southampton for nearly 20 years, operating as Martin & Co Southampton Woolston since 2007. Being a franchise we had the best of both worlds, having a link to a national company with 260 offices in the UK. Our business has now grown into one of the top Estate agencies in the Gosport area.